SELLER IS OFFERING 5K IN CLOSING COSTS & GOLF CART. FEATURES INCLD. A GENEROUSLY SIZED MSTR ON THE MAIN W/ LARGE HIS & HER CLOSETS, IN LAW SUITE IN THE FINSHD BSMT WITH FULL BTH & WET BAR, 3 BDS UP & 2 FULL BTHS. THE HOME IS SITUATED ON A PRIVATE CUL-DE-SAC LOT. THERE IS A 3 CAR GARAGE AND A SEPARATE GOLF CART GARAGE. THE BSMT. HAS A REAL TREAT FOR THE GOLFERS (GOLF PRACTICE ROOM). 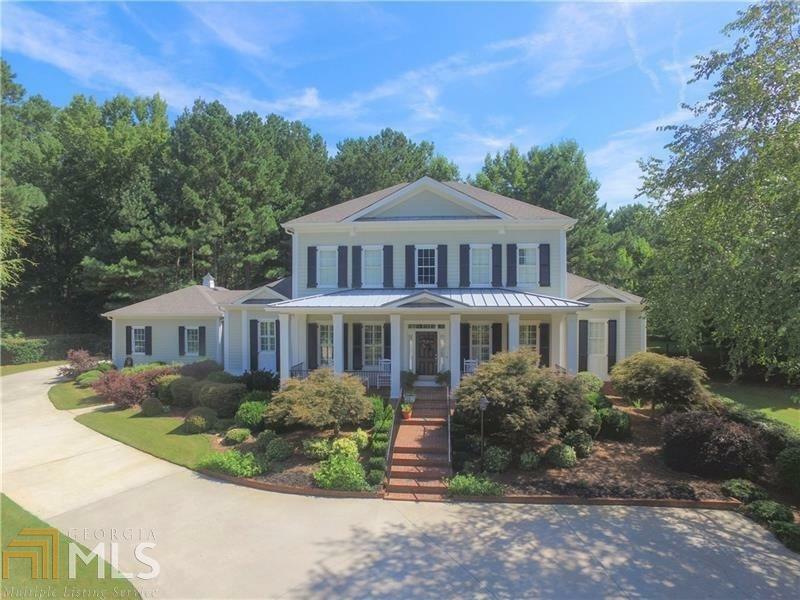 AWARD WINNING SCHOOL DISTRICT AND MANY FABULOUS NEIGHBORHOOD FEATURES MAKE THIS HOME A MUST SEE AND A PLEASURE TO SHOW TO YOUR BUYERS! LOT SIZE IS .85 ACRES. Directions: South On Peachtree Pkwy To Left On Redwine Road, Left On Old Ivy(1st Entrance) Left On Glen Grove, Right On Cottonmill. From Fayetteville, Redwine Rd South To Right On Quarters Road (2nd Entrance), Left On Old Ivy And Right On Glen Grove.